At Queensway Auto World, our experienced sales personnel can lend you a hand when it comes to buying used cars in the the Terrace area. There are many factors for you to consider, and it can seem like a daunting process, especially to a new buyer. The truth is, we've all been there before, and the staff here at Queensway Auto World is here to help. When buying a used car, there are a number of things to think about, the vehicle's history, relative mileage, and expected future repairs are but a few of these. 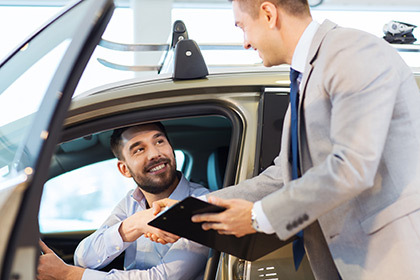 The knowledgeable people here will be able to advise you with what you want to know, and can answer questions you may have about specific vehicles or the process as a whole. So stop by soon and don't be shy we're here for you!